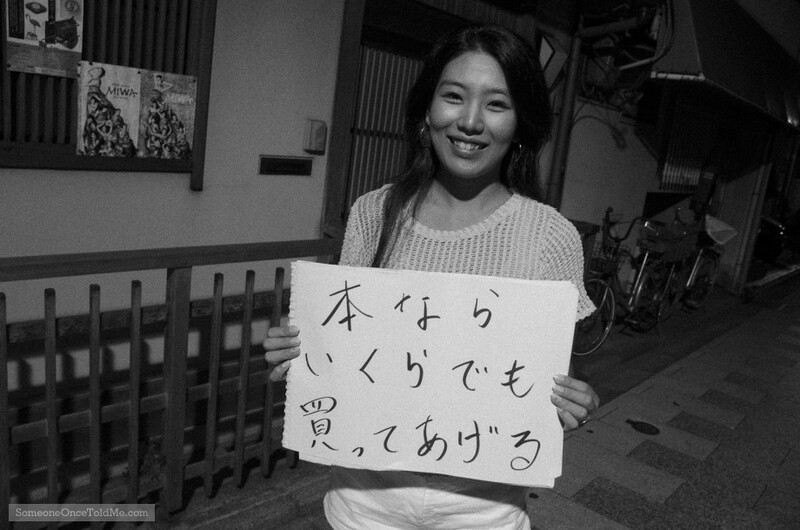 2191“As a child, my mum always told me this," our subject Miu explains in her audio clip. "She said: ‘I don’t mind paying for books, no matter how expensive.' My grandfather was always saying that to my mum too, so it’s like my family tradition. ”My mum wasn’t so rich when I was a child, but she was always buying me books, so I think it’s lovely. I really appreciate it.” Taken in Kyoto, Japan on the SOTM World Tour. "My parents always said the same thing to me when I was a child. :)"
"What a gift. Not the books themselves alone, but the gentle teaching of true value. "